Website designer Tsai says her pigs are so clever they’ve worked out how to open the fridge, which is now protected from wandering snouts with a rope. It is difficult to underestimate the importance of pigs in Chinese culture – especially when it comes to food. 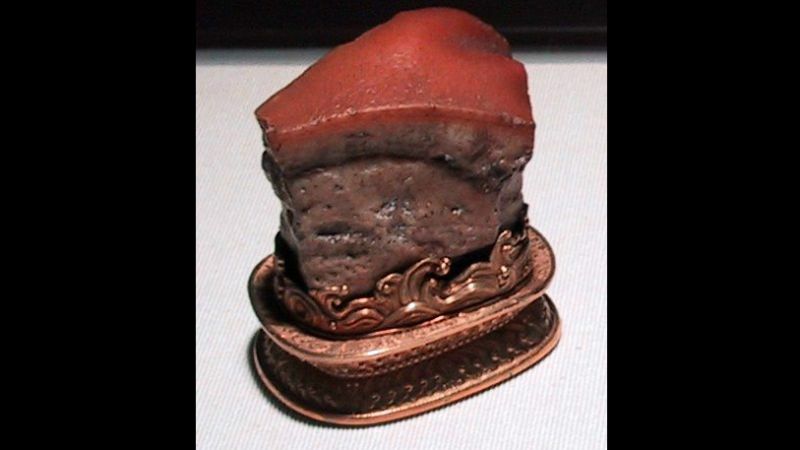 One of Taiwan’s most prized treasures is the ‘meat-shaped stone’, a small piece of carved jasper with an uncanny resemblance to a chunk of stewed pork belly that draws huge daily crowds at the island’s national museum. But Tsai’s pigs are the lucky ones – they have avoided ending up on a plate. The 43-year-old first started keeping pet pigs 12 years ago when her family gave her “Little Du”, a piglet who has grown into a somewhat robust 65 kilogram (143-pound) hog. “When our neighbour’s pig gave birth, I stopped by to watch the piglets every day so my father and brother bought one for me,” she told AFP. 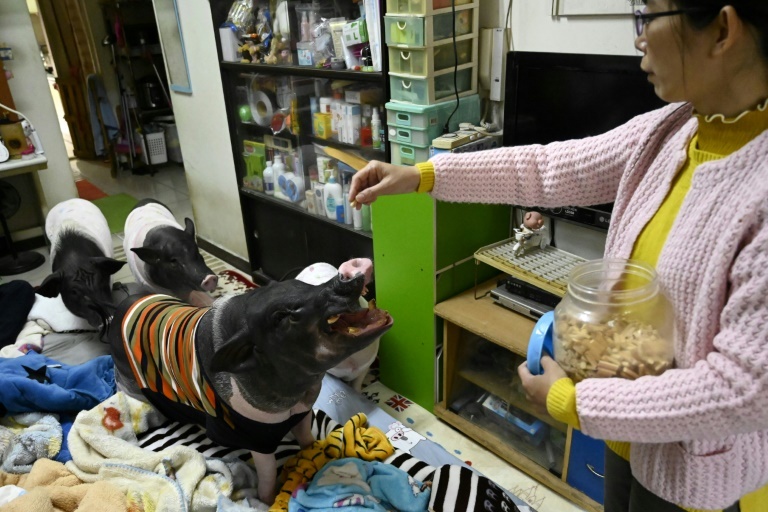 The remaining four pigs live a life of luxury under Tsai’s care, staying in the largest room in her small apartment while Tsai and her flatmate occupy the tiny bedrooms to the side. 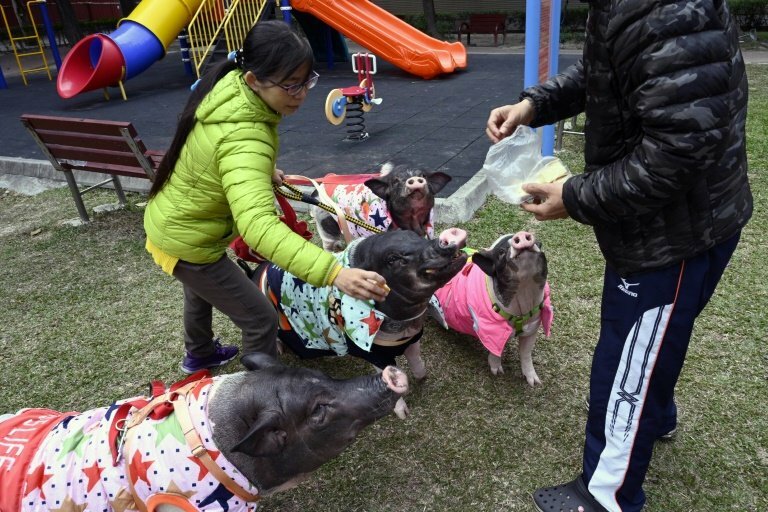 Unlike dogs or cats, there is no pet hotel that accommodates pigs, so their owners “can't travel far and have to make a lot of sacrifices,” she added. Tsai said she often ends up taking in abandoned pigs – especially fully grown ones.